Get complete setup, training and support for ServiceM8 for your business with Admin Advantage. The Admin Advantage team is here to help! Admin Advantage uses the best systems to maximise success at minimum cost to you. Admin Advantage are Certified Partners with ServiceM8, we can help setup, train and assist you in the ServiceM8 software to help your business stay in control with a simple and effective job management system. Admin Advantage personalised training for you and your staff with our trainers, and consulting programs tailored specifically to your business needs. We provide face to face consultations and training, with ongoing basic technical support at your business location or remotely via Teamviewer (Screen-sharing software). 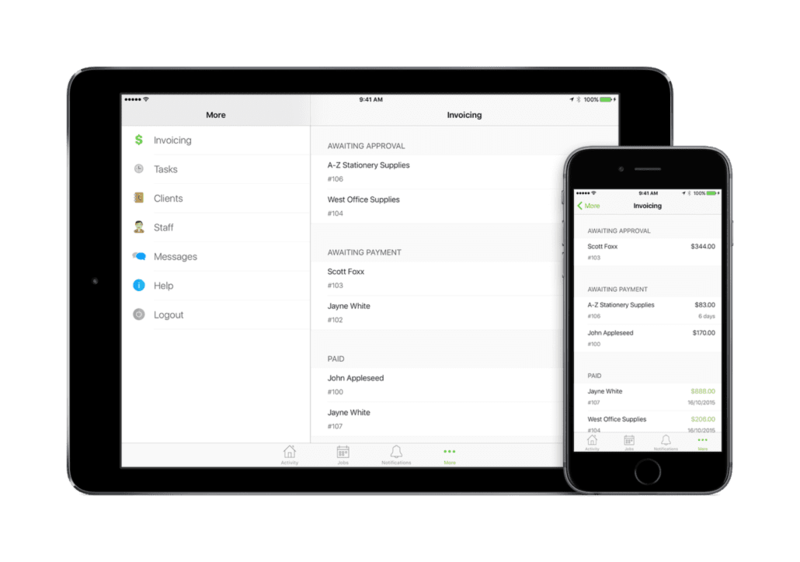 ServiceM8 is job management in the cloud for your computer, iPhone and iPad. Stay in control from quoting through to job completion and invoicing. Work smarter with real-time information on jobs and staff locations. 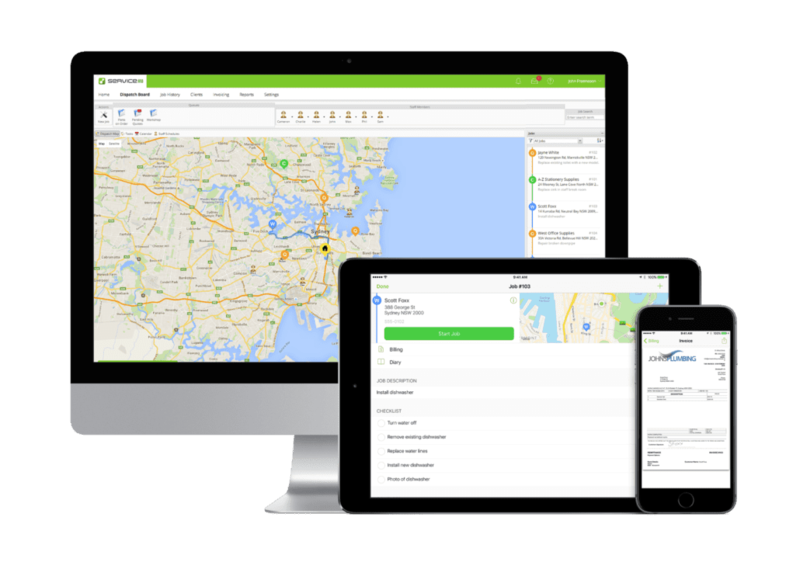 ServiceM8 is used by everyone in your business, from field and office staff to management. 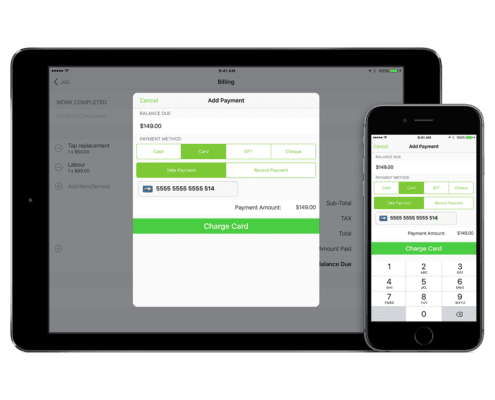 It is simple and effective, it’s available anywhere, anytime and best of all it integrates seamlessly with MYOB. No lock in contracts, simply pay per job with the first 20 jobs every month free. Getting started is easy, with no software or hardware to purchase, you’ll book your first job in minutes – with immediate benefits. Job management that allows you to work onsite or offsite using the cloud. 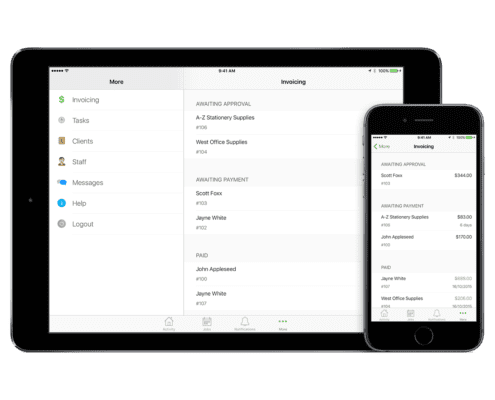 Access a full history of work done for every client, including notes, photos, emails, and messages, from anywhere. 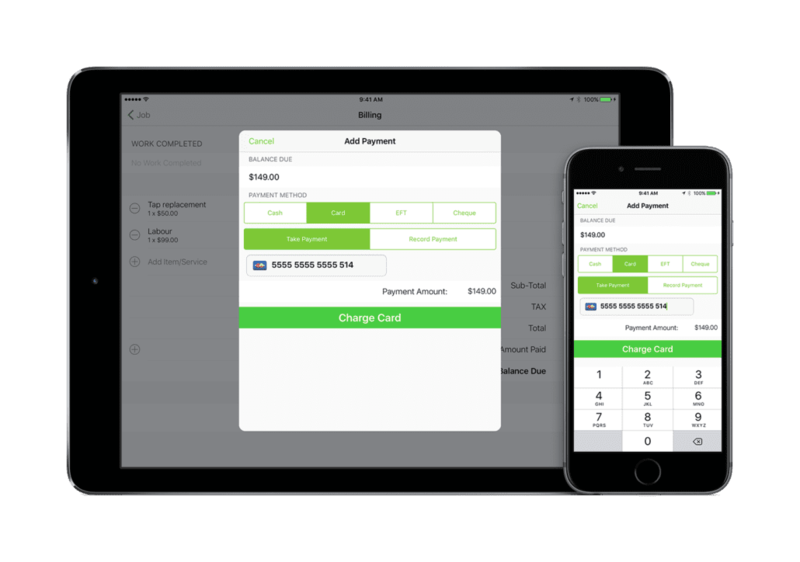 Integrate and sync with MYOB and other major accounting solution providers. Over twenty add-ons to provide extra functionality without the use of additional software. Communicate and notify with employees using a live activity feed. Access and get notifications from your daily schedules from anywhere. Send emails and texts directly to clients with professional messaging templates. Automatic cloud-based backups and syncing with access online and offline to all data on ServiceM8. No lock in contracts, simply pay per job with the first 20 jobs every month free. To find out more information about this package contact us and we will discuss your business requirements. “Our trusted relationship with Admin Advantage was a no brainer when it came to setting up ServiceM8. I kept focused on my business while they ensured that ServiceM8 was set up to reflect our requirements. Having training on site at a time that suited my staff also meant we could hit the ground running. “I can’t believe the difference ServiceM8 has made to my working week. Not only am I more productive, I have all information at my fingertips and I’m no longer sitting in front of the computer on a Friday night invoicing customers. The reporting has also given me informative insight into my business. 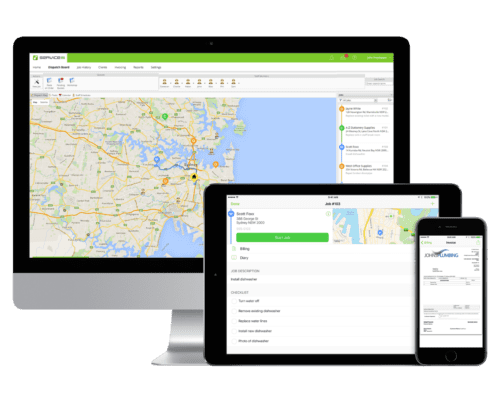 Interested or need more information on adding ServiceM8 to your business? Contact our team at Admin Advantage and we can help assist you!